One of our favorite sports activities is swimming, and there's no better way to get involved and have a blast than to compete with your local swim team. It's fun, and really builds swimming skills and great sportsmanship. For many teams, registration opens soon or is even underway now! Listed below are the 10 Marin Swim League swim teams, for kids ages 5 to 18, and their registration dates. The swim team season begins with practices in March and wraps up at the end of June with the Championship meet, usually held at the College of Marin Indian Valley Campus pool in Novato. Unless otherwise noted, registration dates are for both returning team members and new members. 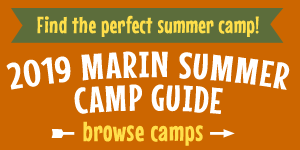 For more information on the Marin Swim League, including a full schedule of 2019 spring and summer swim meets, visit www.marinswimleague.org.